3) The reluctance of sick patients in real need of pain management to take strong medications such as morphine. Firstly, I don’t believe in a pill for every ill. Sometimes, drinking a glass of water, resting, stretching or using a heat pad may relieve pain significantly before you think about taking a drug. Having said that if you are going to take something, you should at least know what and why! 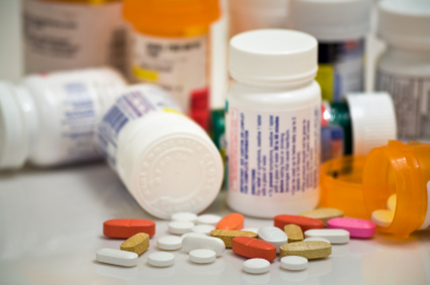 Pain medicines (also called analgesics) fall into different categories. The trick is to be able to read the side of the box or the bottle and know what is inside each tablet or spoonful. Take the box/bottle in your hand and flip it round until you see the writing that says: Each tablet contains MedicineName xxmg or each 5ml contains MedicineName xxmg. Sounds simple but can cause much confusion! This is important because popular pain killers like Myprodol contain 3 different active medications and has the potential side effects to go with it. Side Effects: Very toxic to the liver and kidneys in overdose. The fact it can be bought in every supermarket has lulled people into a false sense of security – It can be lethal if abused. If taken in the correct dose, Paracetamol is very effective. Always my first choice! For adults weighing over 50 kg, the maximum dose is 4 grams (8 tablets) in 24 hours. This group are all anti-inflammatory, good for fever, muscle ache, joint pains. They can be used on their own or in combination with Paracetamol, Codeine or Tramadol. Two different anti-inflammatories should not be used together. Taken regularly on an empty stomach, these can cause stomach ulcers (even if taken rectally!!!) Using these medications while exercising energetically can be very harmful to the kidneys. Be careful! Seldom used on its own, it is most commonly found in combination with Paracetamol and other meds like antihistamines, anti-inflammatories and caffeine. Common side effects include drowsiness and constipation. Withdrawal effects can cause headache – so you take another two! Therefore prolonged use can be very addictive! Again often used with Paracetamol, but on its own too. READ THE BOX! Common side effects are nausea, vomiting and sedation. Now let’s talk about the strong stuff like Morphine. It’s one of those drugs with a very bad reputation. It is perceived by the public and many health professionals as an end of life / hospice drug. So many people I speak to believe the bad press. Comments like, “I don’t want to become addicted” or “my granny was given morphine when she went to hospice and then she died”. The truth is that morphine and its relatives are extremely useful, strong pain killers that the world really needs. Not just for the dying patients, but for those with severe pain that cannot be controlled or managed with the medications I have mentioned above. Morphine does not kill people when used properly, and if used for severe pain, does not cause addiction. Admittedly if I were to go drink some of my cancer patient’s morphine, I might enjoy the effect a little too much and end up with a problem, but that’s because I do not have pain. The ignorance about pain management is not restricted to lay people but affects many health professionals as well. There is huge and unfounded fear of the side effects and risks of addiction but I repeat, if used properly can control most pains. If you or your family need pain management, don’t take it lightly. Do you research and understand what you are putting into your body and why. Similarly there is no need to suffer pain stoically when we have options these days to manage pain. When patients take responsibility and start asking for proper pain management, health professionals will have to start paying attention and improving their own skills. Hi Deborah. I am always reluctant to give advice on the internet however it doesn’t sound like a good idea. The maximum daily dose for an adult is 4g a day which is only 8 tablets. Could it be he has unmanaged pain? The worry is these large doses could damage his liver. My suggestion is to chat to him openly without sounding like you are criticising. If he has been taking them for years he is not likely to see the problem or want to change.